This article was written by Dr David Curnock, who is both a Visiting Paediatrician at Berega Hospital, Tanzania and Emeritus Consultant Paediatrician at Nottingham University Hospitals, UK. Since 2007 David and his wife Anne, a teacher, have spent 2 months each year as volunteers in Berega. They are friends and work in Berega and Tunguli alongside a small number of charities including Mission Morogoro. We wanted to share this uplifting story of hope and love with all our supporters as an example of the wonderful work being done by other partners in Morogoro. We cannot take any credit for this amazing work, but it is inspiring and directly relevant to the Maternal Health Scheme that we are currently developing with others. Designed to provide medical care for pregnant mothers and newborn babies, the new project is a collaborative one between the Hospital in Berega and the Health Centre in the rural village of Tunguli. Known as ‘Embrace’ (or Tushikamane in Swahili), this new project will allow us to spread the benefits of such life saving expertise in the wider community. Many newborns, especially in developing countries, die unnecessarily because health staff have not had the opportunity to learn how to give simple resuscitation. Birth asphyxia (fail­ure to establish breathing at birth) ac­counts for about 900,000 deaths each year and is one of the primary causes of early neonatal mortality. However resuscitation can be successful in low-resource settings. For example, in Dahanu, India, the stillbirth rate dropped from 18.6% to 9% over a three-year period with introduction of a traditional birth attendant training pro­gramme in which neonatal resuscitation was a central component1. Sub-Saharan Africa has one of the highest rates in the world of so-called stillbirths. Many of these are due to birth asphyxis, and many can be prevented. 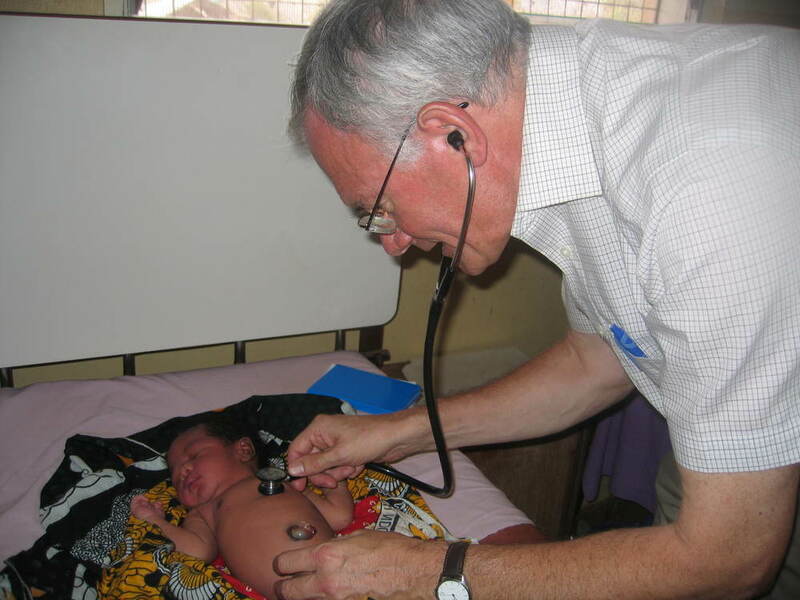 For example, in Berega Hospital in Tanzania, of the 539 babies born in 2006, 43% needed help at birth. During our first visit to Berega in 2007 I taught the Berega Hospital staff how to resuscitate newborn babies at the regular weekly teaching session on a Friday morning - 7th Sept 2007. One of the staff, who learned that morning and practised on the resuscitation manikin doll, was Dr Machombo one of the three Assistant Medical Officers. In the evening of that day he was on duty and was passing the Labour Suite when one of the midwives called out to him that a baby had just been born but was not breathing and so they were putting the baby into the adjoining sluice room while it made its final few gasps (this being the normal procedure). But Dr Machombo thought, "I'll try what I was taught this morning", and so he got the resuscitation bag and mask, positioned the baby's head correctly to open the airway, and inflated the baby's lungs with the bag and mask. To his surprise the baby immediately began breathing normally, and soon was in the mother's arms. The next morning, on the postnatal ward round, I saw the mother and baby with Dr Machombo and examined the baby who was breast-feeding well and completely normal. The baby was a boy. I congratulated the mother on having a healthy baby, and I said to Dr Machombo "Dr Machombo, you may have resuscitated the next President of Tanzania!" Mother and baby were very happy, and Dr Machombo was delighted!